From January to December, there’s been loads of football and outstanding Nigerian footballers all year long. In this list, we select ten of the best male Nigerian footballers from around the World. A big omission from the CAF African Player of the year final shortlists and missed out on the BBC African footballer of the year gong to Mo Salah. But the Chelsea wing-back had a brilliant year, contributing to Chelsea’s Premier League win in May with his marauding performances on the right. 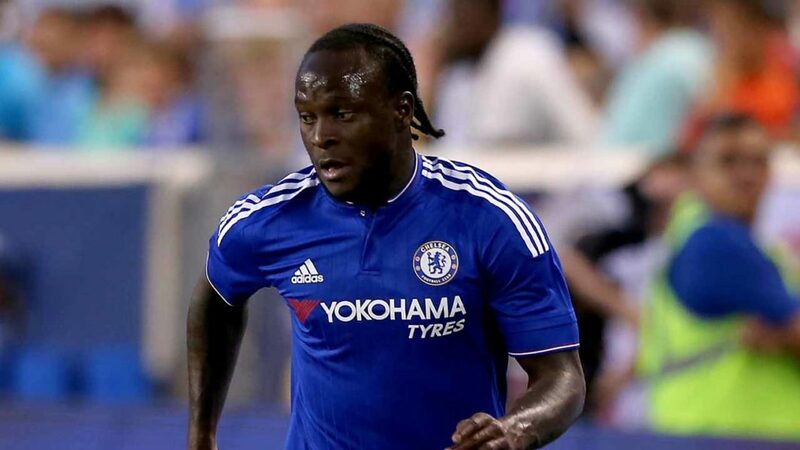 Moses remains a key member of the Chelsea team owing to the drive, dynamism and solidity that he has consistently given the Blues. In the green of the Super Eagles, Moses’ drive and dynamism were used further forward as a winger. He was instrumental in Nigeria’s World Cup qualification scoring three goals and laying on an assist. Ndidi’s importance to Leicester City cannot be overstated. The defensive midfielder slotted right into the Foxes’ midfield following his move from Genk at the beginning of the year and has been a mainstay ever since. 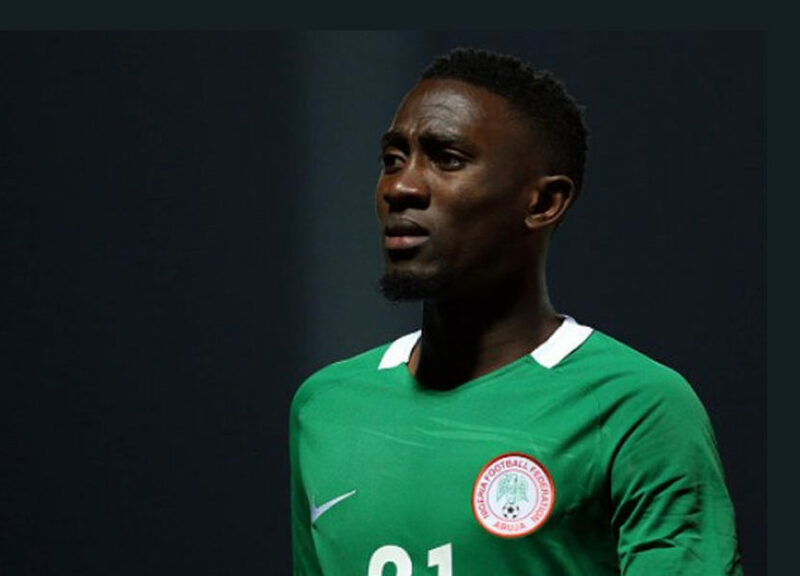 Ndidi has missed just one Premier League match since he joined Leicester and has not completed the full-90 just twice. It really is easy to forget that the player who got a red card on his birthday against Crystal Palace is just 21 years old. Ndidi leads the Premier League in his number of tackles completed per game and ranks second in Europe’s top five Leagues with 4.3 tackle average. 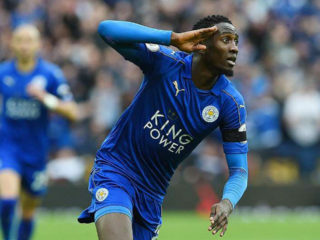 Ndidi intelligently combines his doggedness, positioning, reading of the game and strength to nick balls off opponents and his influence on Leicester’s game is growing as the midfielder is averaging more touches and passes per game. From the obscurity of the Aspire Academy, Onyekuru worked his way into the public’s consciousness with his directness, dribbling and his cutting edge in front of goal. Onyekuru’s remarkable year included a move from Belgian club, Eupen where he was the joint highest goal scorer in the 2016/2017 season with 22 goals to English Premier League side Everton despite strong interests from PSG and Arsenal. Everton loaned him out to Anderlecht where he has continued his excellent form in the Jupiler League where he is currently the joint-top goalscorer with nine goals. Onyekuru, the highest scoring Nigerian in 2017, made his Super Eagles debut in the year. Nwaekeme has had quite the year. Winning the Ligat ha’Al, Israeli League player of the year and getting his debut for the Super Eagles while still scoring goals with ease in the same year is as outstanding as they come. The forward already has 11 goals this season from 23 games with the Camels and remains a handful for defenders with his pace, power and goalscoring instincts. His impressive scoring ratio in UEFA Champions League qualification round, unfortunately, was not enough to get them into the group stages and out of the Europa League group stages but Nwaekeme’s year has been an unbelievably good one. The powerful forward was outstanding in the year, emerging as the highest goalscorer in the Nigerian Professional Football League that spanned from January to September. Okpotu notched 19 goals including a record three hat-tricks against MFMFC, Sunshine Stars and El Kanemi Warriors. His impressive showings with Lobi Stars earned him a maiden call-up to the home-based Super Eagles. The Lobi Stars forward was also instrumental in Nigeria’s run to the final of the WAFU Cup, scoring a goal and laying on an assist. At the NPFL Invitational tournament, Okpotu scored a brace against MFMFC on the final day of the competition for the CHAN Eagles to win the competition. Things have looked on the up for the Hard-as-nails kind of defender in 2017. Troost-Ekong has gone from being told off as being too soft in the Super Eagles to an important figure in the team playing every minute of the Super Eagles World Cup qualifier. 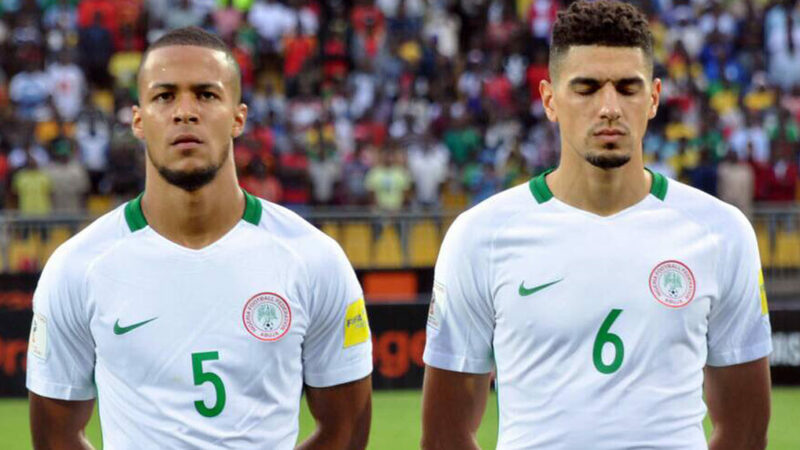 Perhaps not as refined as his partner, his blood and thunder-style defending compliments Leon Balogun’s more cerebral and less physical style and the pair’s successful partnership has drawn plaudits. At Bursaspor, the 24-year old has been a key cog in the defence missing only a match due to injury, a huge improvement from his time on the fringes of the Gent team last season. Moving far out to the Chinese Super League from the English Premier League was certain to be a tricky move. Although the goals had dried out at Watford but moving East to China didn’t look like the most logical move for the striker who still had years ahead of him. The now 28-year old joined Changchun Yatai on the winter transfer deadline day and his first game for his new club saw him wear the Captain’s arm-band. Ighalo grabbed 15 goals and 7 assists in the Chinese Super League and marked his return to the Super Eagles against Cameroon with a goal. His encouraging performances with the Super Eagles have seen him emerge as Nigeria’s first choice Centre forward. There just is an incoherence to the Super Eagles’ play whenever Mikel Obi is not on the turf. After the loss to South Africa, it was clear that the team needed a leader on the pitch. 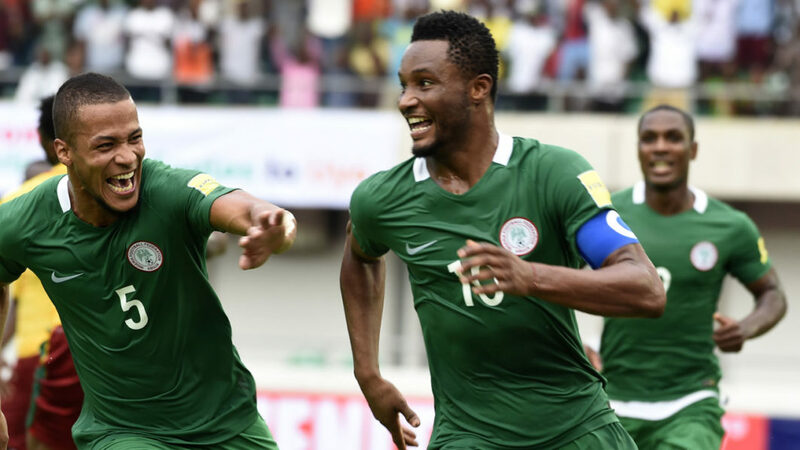 In the double-header against Cameroon, despite not being 100% Mikel’s influence shone through as he infused calm and continuity to the Super Eagles’ play. The Tianjin TEDA midfielder bagged a goal and an assist but his influence became even more apparent when he trudged off the field substituted off. The midfield immediately looked flat and chaotic barely able to keep possession and string passes together. What held Lagos fans spellbound was the combinational play involving Stephen Odey, Sikiru Olatunbosun and Chukwuka Onuwa; it was ecstatic and devastating at its best. Better than last year, the play was producing results and Odey was scoring the goals: 18 of them, just a goal less than the highest goalscorer. His intelligent movement, awareness and close control stands him above many NPFL strikers and earned him a move to FC Zurich few games to the end of the season. His goals got his former club MFMFC a place in the CAF Champions League as the side finished second on the table. His pace and directness was a worry for NPFL defenders in 2017 and at Switzerland, he has started showing the streaks of brilliance that made him a crowd favourite. Balogun has had a fair bit of injuries this year but the graceful Mainz 05 defender makes the list mainly for his brilliance in the Super Eagles defence. Timely in the tackle and with exceptional game reading, the defender has looked a class apart starting attacks from deep. Balogun was peerless in the draw at Yaoundé against Cameroon making awe-inspiring last-ditch tackles as well as ball-playing from the defence. 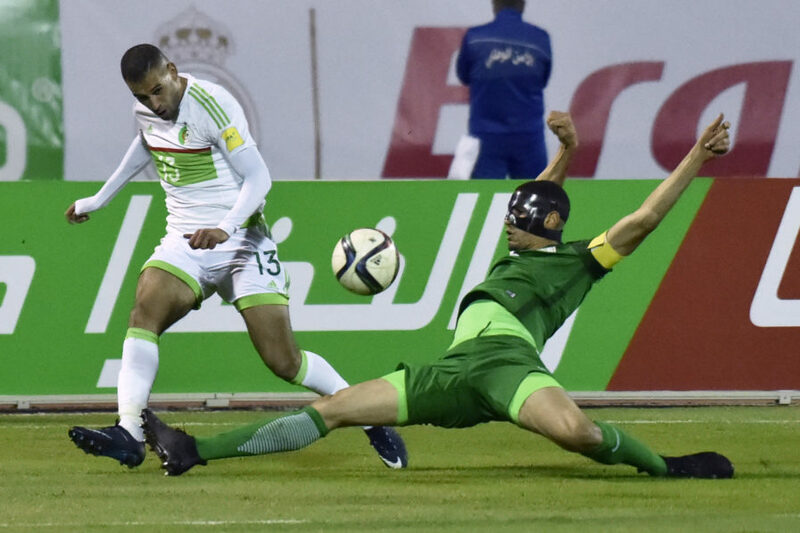 The defender hardly put a foot wrong in the World Cup qualifiers he featured in for the Super Eagles.